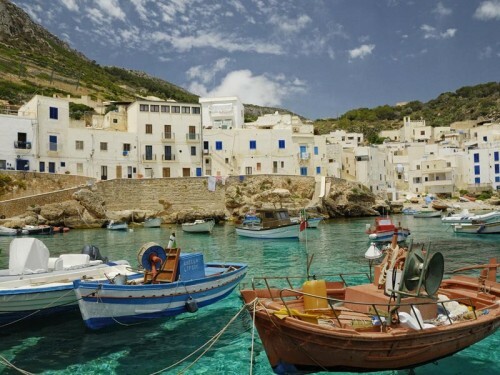 Cheap flights to Sicily: Warsaw-Trapani for only €69! Another great offer from Ryanair can take you to South of Italy. 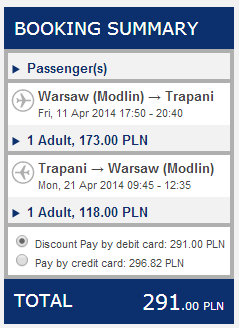 Return tickets from Warsaw Modlin to Trapani in Sicily are available for only €69 / 291 PLN! This price includes 10 kg cabin luggage which should be more than enough for your swimsuit and towel. Many other dates are available as well for slightly higher price. « Cheap flights to Thailand: Bangkok for €449!